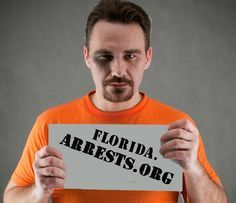 Get your mugshot and criminal arrest records removed from Florida.Arrests.org and other Florida mugshot sites. Despite the attempts of State lawmakers in to pass bills that would do away with Florida mugshot search and crime reporting sites like Florida.Arrests.org, the laws requiring removal of criminal records online do not apply for, and thus can not help, most the people with mugshots online. Let Remove-Arrests.org remove your arrest mugshots from Florida.Arrests.org, Jail.com and other Florida mugshot reporting sites. If you happen to stumble upon an old Florida jail mugshot picture, police report and/or criminal case record online while googling your name we can help you. We specialize in helping people remove unwanted criminal records and arrest info from the internet. Click the button above and complete the contact form to get started!